The chorus among my colleagues seems to be reaching a nice harmonious tone about grammar. All the voices seem to say that it's no longer important. It's all about communication they say, and has simply no place in the Business English course... well, okay with lower levels, sure we need it. And if it causes a misunderstanding, certainly. I started listening to this siren song some time ago and began to all but remove grammar from my lesson plans. I gave some feedback, but gone was the 90 minute lesson on getting all our 'if's and 'would's in the right place. But over time, I feel the pull of grammar bringing me back and while I'm still not running entire lessons focused on a certain element, grammar is tangible in nearly every lesson. So, I thought I would spell out a few reasons why it's still okay to teach grammar (even to higher levels) and why we can even learn to love it again. We have been watching Cars a lot in my house lately. Cars and Cars 2 are films from Disney/Pixar about a race car, Lightning McQueen, and his best friend, Tow Mater, a lovable redneck tow truck. In the second movie they introduce Finn McMissile, a soave British secret agent. 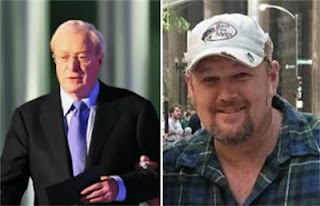 Michael Caine and Larry the Cable Guy. Which man is the voice of the lovable redneck tow truck? Which man is the voice of the soave British secret agent? Who uses the sentence... "My apologies, I haven't properly introduced myself." Who uses the sentence, "Ah! I knowed you wasn't gonna leave without sayin' goodbye!" Which image would your learners most like to portray? My point is that grammar is somewhat like a set of clothes. Do we want to send our learners into a meeting dressed like Larry the Cable Guy? This type of appearance probably isn't going to help them persuade others or defend their ideas. Sure, other NNSs may give them allowances, but having good grammar shows qualities useful in business, namely persistence, hard work, mastery, and attention to detail. The basic truth is that our learners expect teaching in grammar. It is one of the core aspects they expect in our classes. Sure they may not want to spend a lot of time listening to the teacher drone on about when to use the past perfect, but grammar is one of the ways they measure their own progress. Unlike vocabulary, which they may or may not see again in their daily lives, they will recognize grammar. It also helps the learners battle ambiguity. Especially in writing, they have fewer doubts, "Is this right or not?" That is a big confidence boost. In fact, grammar serves as the key to unlock meaning. We often ask our learners to try to define unknown words in context. We ask them to find collocations and lexical chunks. Without understanding the grammar, they cannot perform these tasks. For more difficult texts, it can be very difficult for them to even distinguish the core sentence from the accompanying clauses. 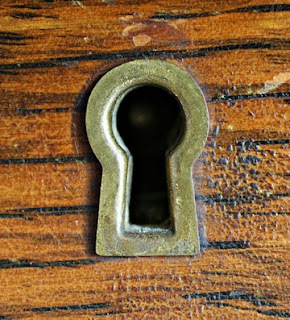 Giving them a set of keys to unlock meaning will give them more freedom to understand outside the class room. Without it, they are limited to the set phrases and functional sentences we give them. If they aren't used, the learners will struggle. Let's be honest, we can't walk into every classroom every week and be 100% engaged. Setting up and evaluating skills training can be hard work. Listening for lexical gaps and absent functional phrases takes immense concentration. Sometimes we are tired, distracted, or just plain having a rough day. Identifying and filling grammar deficiencies is much easier to do. We should certainly try to do more when monitoring, but it's not always possible. Grammar provides a great way for the teacher to relax a little bit. We all have a bank of grammar based activities and ideas to draw upon at a moment's notice. We all have our standard way of teaching the present perfect continuous and passive modals. Sometimes it does us good to dust those off and have a nice standard grammar lesson. The learners will get something and the teacher can live to fight another day. By dissecting the language, the learners are practicing the skill of analyzing what they say and how they say it. This supports our other training areas. It shows them that small things can make a huge difference. It then becomes easier to show them how word choice can change the tone of a sentence. We can then show them why formal language is different than informal language. It better enables us to show how discourse markers help the listener to understand. Etc., etc. I continue to listen politely to my colleagues about grammar. And I will give them one concession, we need to prioritize which grammatical elements to include. There are many steps between Finn McMissile and Tow Mater. We need to think about which elements will help them fit the image they want to portray. So, learn to embrace it and love it... just don't let it get too passionate.